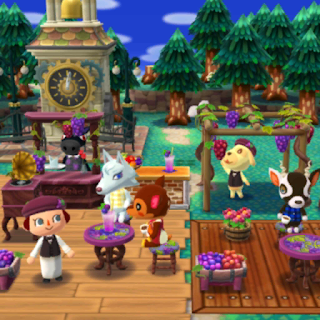 Brewster will also receive his own special event, Brewster's Sweet Harvest, which is happening right now! This is yet another gardening event that will have players plans special flowers to catch bugs which can be exchanged for an assortment of vineyard and grape themed items. 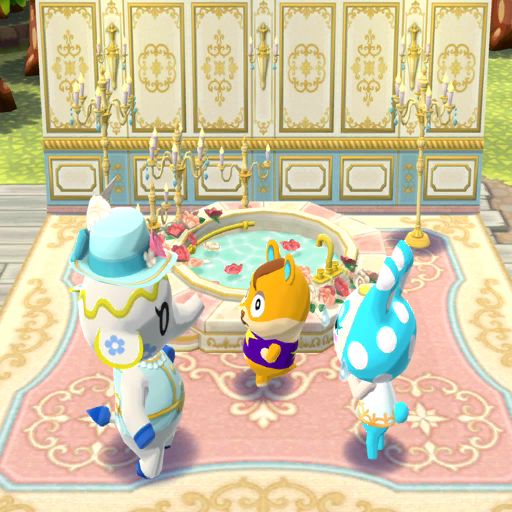 Leif will be making a reappearance, returning as a Special NPC, if players craft his flower stand and place it in their campsite. Leif's Flower Stand can be built starting September 7th, and will end on November 6th. And as always, a bunch of new clothing items were also added. However, that's not all. There's a very small glimpse at come crossover content in the near future, being a Splatoon tie-in. Some textures of the game as well as strings of text were found within the games data which allude to this. Most notably, there's a bunch of Splatoon themed furniture items, as well as the Green Squid, Pink Squid and Octopus sea creatures... It seems very likely we'll be seeing a special Splatoon-themed Fishing Tourney in the future, but only time will tell. And that wraps up this datamine. Expect the next one to hit sometime mid-September. Special thanks to the folks over at reddit for the initial datamine!